» Triple FAT Goose vs Canada Jackets: Which is Best? There are many similarities between the Triple F.A.T. Goose and Canada Goose brands. These two brands have both been iconic for their jackets. Both brands make jackets that are primarily made out of goose down. In addition, Triple F.A.T. Goose became popular in the 1980s and their jackets were so popular that they are always included in 80s fashion trends. Canada Goose has been around for a long time and the brand has been known for its attention to details and high-quality jackets are meant for keeping you warm. Due to this, they have become a favorite among the rich and famous and even recently were considered a top winter fashion trend. What materials are used in the manufacture of Triple F.A.T. Goose jackets? What materials are used in the manufacture of Canada Goose jackets? What is the insulation material used in Triple F.A.T. Goose jackets? What is the insulation material used in Canada Goose jackets? Does Triple F.A.T. Goose use real fur? Does Canada Goose use real fur? Does Triple F.A.T. 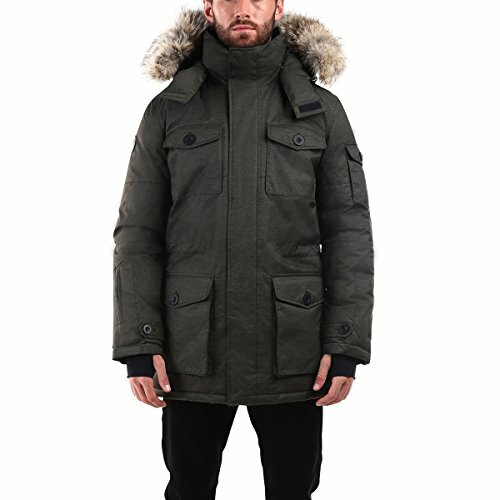 Goose source their materials ethically? 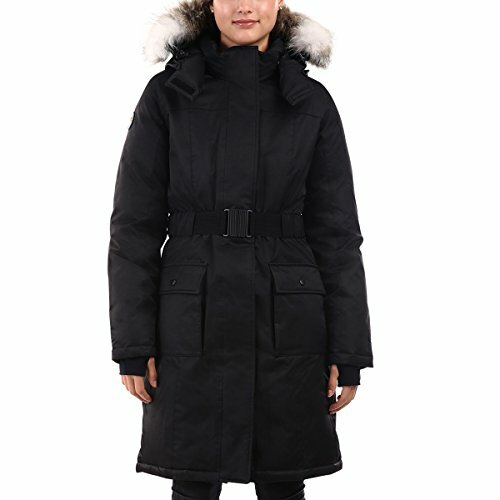 Does Canada Goose source their materials ethically? Even though both brands have a cult-like following and are popular among people, there are many who do not agree with the use of animal products in the jackets. These are people like those who are members of PETA (people for the ethical treatment of animals). One thing that is obviously apparent when you are looking at both brands is that they use the “goose” in their names. This is important to note because they are both using goose feathers as part of the materials for their jackets. Canada Goose not only uses goose feathers in their jackets but they use coyote furs as well. The company offers that they are ethically sourcing these materials, but many do not agree. Recently PETA has even taken some action against these brands for their use of animal products. PETA claims that the geese and ducks that are sourced for feathers are killed and abused in order to obtain their feathers. These claims are notable since it has been such a large controversy of late. Triple F.A.T. Goose jackets first gained their mass popularity in the 1980s. The brand actually went out of business but came back in the 2010s due to the outpouring of customer demand for their products. The company is unique in that it features air vents on some jackets which allow you to breathe when you are active in the winter months. This means that you will never be sweaty inside of your jacket. Triple F.A.T. Goose first appeared in 1987. They started with the idea that they would produce high-quality jackets that would be both stylish and functional. They wanted jackets that could withstand the harsh winter weather conditions and low temperatures that many faces during the winter months. This company is very popular in the United States and is a go-to brand for anyone who wants a high-quality jacket that is sure to actually keep them warm even in the coldest temperatures. The brand has been good at being adaptive. The market has demanded certain things from jackets in recent years. This brand has listened to these market demands and answered with jackets that are not only made to keep you warm all winter long but keep up with even the most active lifestyles. This means that they have worked with new fabrics and materials that allow for the jackets to be flexible and functional for lots of movement. Triple F.A.T. Goose offers a wide range of jackets and coats for men. These are designed to be used in a multitude of climates and conditions and are increasing in popularity for a variety of reasons, but the main ones are that they keep you warm and are more affordable than other brands that are similar. The Eldridge men’s parka is one of those jackets that is going to offer you everything that you are looking for when you want to stay warm. The jacket features dual chest pockets and lower side pockets with button closures. The jacket comes in four colors and can be purchased in sizes small to extra extra extra extra large. It features a soft inner lining and underarm zipper pockets that can be used for ventilation during warmer parts of the day or times when you might be more active. Plus it only weighs 4.1 pounds which are a nice weight for a cold weather jacket. The Walden men’s lightweight vest is a great vest for those men who are travelers and enjoy being in the great outdoors. This vest features a 750 fill power insulation. It is breathable and lightweight. It is a perfect choice for layering and one that you will want to make sure that you pack no matter where you are going. It only comes in two colors but is available in sizes from small to extra large. It even has a soft inner lining, which makes it comfortable while being stylish and functional. Triple F.A.T. 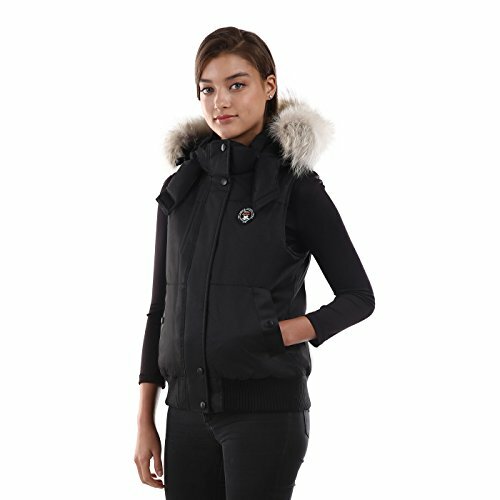 Goose also offers a nice range of jackets and vests for women. Their styles can be seen sported by some of Hollywood’s favorite celebrities and they are available at prices that everyone can justify spending on something that you are going to use for years to come. There are styles that are even tailored which offers a woman the chance to show off her figure instead of it getting lost under bulky layers. The Estelle women’s parka is first noticeable because of the figure-flattering belted style. This one tiny detail really seems to be a popular detail among women. It helps to ensure that you stay looking slim and trim when you are trying to stay warm. The parka is available in six different colors and you can find it in sizes extra small to extra large. This means that you can really find this jacket to fit you. The jacket has a high impact in the world of style and one reason could be that it uses a special wire inside the hood to ensure that your hood is always shaped perfectly. A true timeless jacket that will not only last you for years to come but stay in style and work to keep you warm. The Huntley women’s vest is not your typical cold weather vest, in fact, it is so much more. This vest is full of luxurious touches and offers a sense of style that you will not find in other vests. It can be purchased in four colors and is available in sizes extra small to extra large. It offers many features that can be changed. For instance, the fur on the hood is removable and the hood is removable as well. This vest is one that will not only keep you warm thanks to the 675 powerful, but it is a vest that is going to keep you at the forefront of this year’s winter fashion trends. One thing that is great about the Triple F.A.T. Goose brand is that they offer jackets for boys as well. There is a wide range of boys styles that are popular. There are many different styles available for boys as well. This means that you can find a jacket that the boys in your life are sure to love. The Eldridge boy’s parka is one of those great choices for little boys. This jacket comes in three colors and in sizes 8/10, 12/14, and 16/18. It has all of the same attention to details as the men’s version. The parka is warm and is able to last through all of his adventures. The jacket also offers you the chance to check out all types of weather as it protects against the elements. It keeps him warm while keeping him protected from the weather, water resistant and wind resistant. The Logan boy’s jacket is made for even the most adventurous of little boys. This jacket features a number of different things that will help you to ensure that your little man never has to worry about the jacket he is wearing. It has grosgrain neck highlights and buttons that are rubberized. This means that your little man will be protected from the winter elements without having to worry about if they are going to ruin their jacket and end up cold. This jacket is made in three different colors and in sizes 8/10, 12/14, and 16/18. The Triple F.A.T. Goose girls jackets offer you a lot of choices for your little lady. There are jackets that are made to be stylish and those that are made to be durable as well. They are all going to last you for a considerable amount of time. This means that they are perfect for those who want to ensure that their little girl is going to stay warm, dry, and comfortable all winter long. The Arkona girl’s parka has all of the features and details that you want your little girl’s jacket to have. This jacket is full length so it keeps her well protected against the cold and elements. In addition, this park has a belt that is going to help your little one to feel stylish. It is also going to help teenagers to feel cool and older. This style is perfect for all girls because it is comfortable and keeps them warm. You can purchase this parka in four colors. In addition, this parka can be purchased with fur or without fur. The parka is available in sizes 4, 5, 6, 7, 8, 10, 12, and 14. The Norden girl’s bomber is one of the best choices for little girls. This jacket has grosgrain strips and buttons that are rubberized. There are different pockets that will keep your little one’s hands warm and will also offer styles. The jacket comes in three colors and is available in sizes 8, 10, 12, and 14. It features a 675 goose down fill and premium coyote fur around the collar. The lining is soft and made to help keep your little one warm while also making sure that she is comfortable in her jacket. In addition, you can zip the fur off or even remove the entire hood. Triple F.A.T. Goose does not currently make any other products besides jackets. This is something that you will want to note if you like to pick up matching accessories as the brand does not have accessories for you to choose from. They also do not make any other types of base layers or clothing to keep you warm, just the jackets. Triple F.A.T. Goose offers a full line of jackets and vests for men, women, boys, and girls. Triple F.A.T. Goose ethically sources their goose down and coyote fur. The products that are made by Triple F.A.T. Goose feature all of the details that you are looking for so that you can ensure your jacket is not only made from high-quality materials but is also made to last. Triple F.A.T. Goose listens to what people want and manufactures the jackets that you are looking for. Triple F.A.T. Goose offers jackets that are made to keep you warm. The Triple F.A.T. Goose brand offers high-quality goose down jackets that are more affordable than most of its competitor brands. The Triple F.A.T. Goose brand does not have any accessories and only makes jackets. There are only a few jackets in each category and not a full line of products from the brand. Canada Goose jackets are a popular choice and have been since they were introduced in the 1950s. The brand started developing jackets with the worst conditions in mind. These jackets are known for being a great choice for those who are in these adverse winter conditions frequently. In fact, they are a great choice for anyone who is interested in finding a jacket that is actually going to prevent them from feeling cold regardless of the winter weather that is around them. Canada Goose got their start in the 1950s. This brand was started in Canada and was around for quite a while before the Triple F.A.T. Goose company got their start. The company was a private company at first that produced items for scientists and those who were exposed to the worst winter conditions based on their job duties. However, in the 1970s they started producing their clothes for the public and relaunched the brand with the goal to ensure that everyone was able to have a winter jacket that would keep them warm. 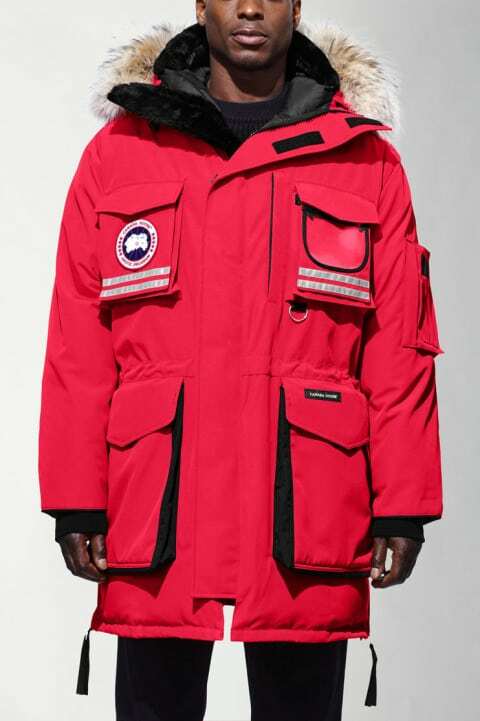 There are many reasons that Canada Goose has gained tremendous popularity. One of these is that they have often been the jackets that are used in the film industry to depict when someone is trying to stay warm in cold conditions. One of the main reasons that they are such a popular choice is that they are made to be breathable so the actors do not get overly hot when wearing them on a set. In addition, the athletes who are setting records for events that take place in the Arctic are wearing these jackets. 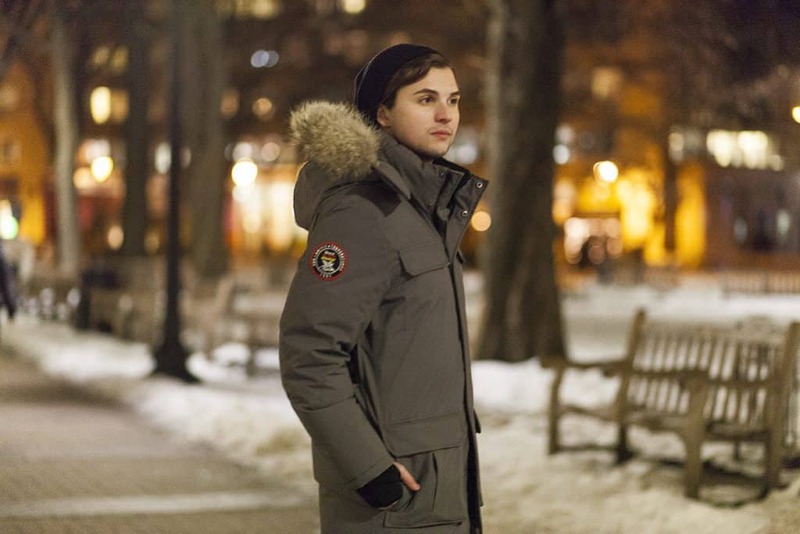 The Canada Goose brand produces an entire line of men’s jackets. These jackets are produced with winter in mind. They are made to keep you warm in all conditions and are produced with the highest quality and attention to details in mind. They are also always looking at ways to be innovative and stylish and to offer people exactly what they want or are looking for. The Snow Mantra Parka comes in two different colors. The jacket also comes in sizes extra small to extra large. This is the most famous parka from the brand. The coat is very warm. This jacket was made to be able to use in both commercial and industrial work. The parka was made with work in the coldest regions in the world. This parka is made to fit oversized, which allows for the most movement. The parka is made to be durable, water resistant, wind resistant, and warm. The men’s Cabri Hoody is one of the exciting jackets that is made by Canada Goose. This jacket features a versatile and slim fitting style. The jacket can even be packed in an internal pocket which allows for it to be packed away and small enough to fit in a wide range of different types of conditions. You can easily take it anywhere that you need to go. The hoody is available in four colors and in sizes small to extra large. It features a tensile knit which is a great way to offer flexibility and breathability in a jacket. This allows the jacket to be durable, to have a four-way stretch, and be breathable. It is layered with a feather-light ripstop that is windproof, water resistant, and ultra lightweight. 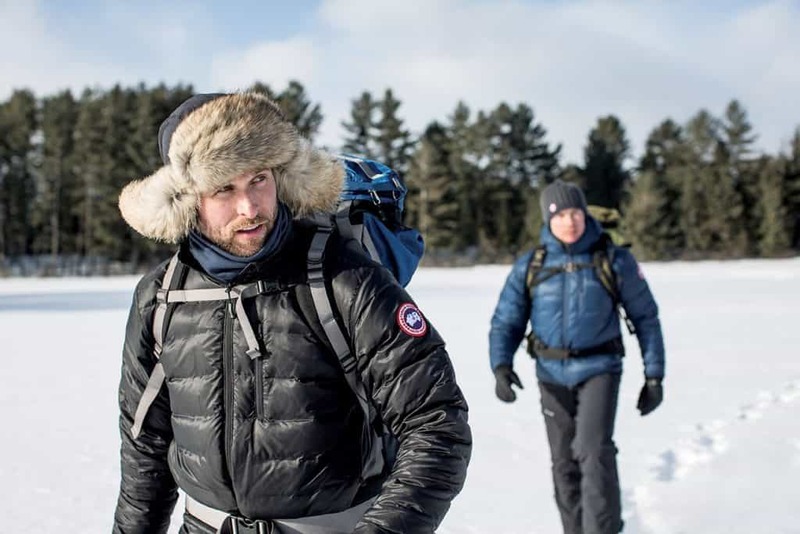 Canada Goose does not just offer you a full line of men’s jackets. However, it does offer a full line of jackets for women as well. There is a wide range of different styles of jackets for women as well. This means that you can find something that is going to work to keep you warm all winter long. Plus, there are styles that are great for a wide range of different types of weather as well. The Resolute Parka from Canada Goose is a high-quality parka that is meant to keep you warm all winter long. 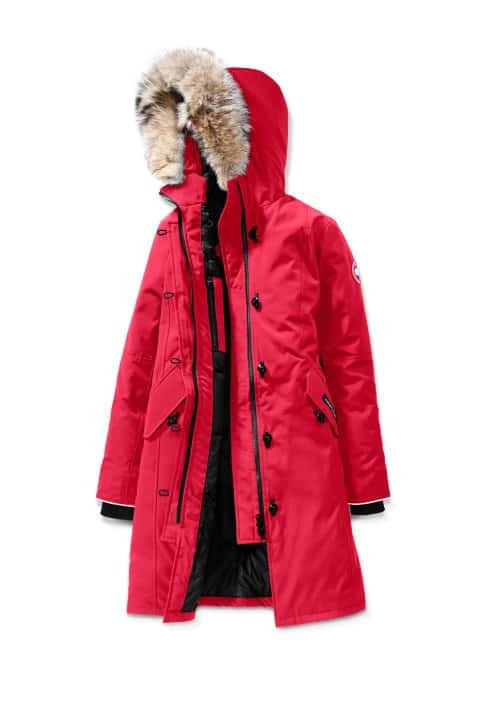 This parka is a favorite among the rich and famous and is a parka that you are sure to have for years to come thanks to its innovative and high-quality design. It comes in three colors and can be purchased in sizes ranging from extra small to extra large. You will be sure to love this parka and everything that it has to offer you. The parka is made with extreme weather conditions in mind. It features materials that make it wind resistant, water resistant, warm, and durable. 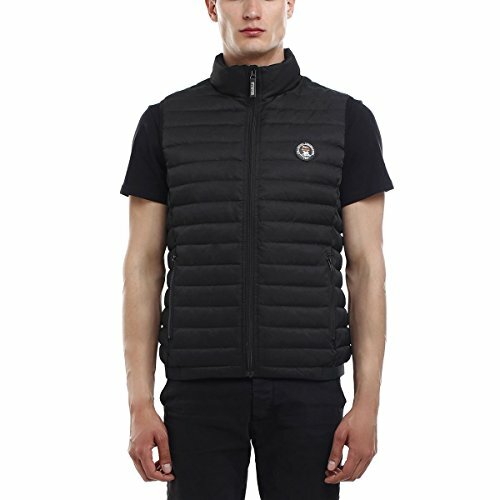 The Hybridge knit jacket is a unique jacket coming from Canada Goose. In fact, it does not look like the standard jackets that you think of when you are thinking about the brand. The jacket currently comes in two colors, but different colors are released from time to time. It is available in sizes ranging from extra small to extra large. The jacket is made with special attention to details. It is going to hold its shape and look good while doing so. You never have to worry about not having a jacket that looks great and one that is going to keep you really warm as well. While a lot of high-end clothing brands ignore infants and babies, Canada Goose is not one of those. In fact, Canada Goose is available for your entire family and offers you the top quality products that you need to ensure that you are never going to have to be cold again. Instead, your babies and infants will maintain warmth even in the coldest outdoor conditions. The PBI Pup Bunting is the bunting that is going to ensure that your child stays warm when they are at their littlest. This bunting is available in the following sizes: 0-3 mos, 3-6 mos, 6-12 mos, 12-18 mos, and 18-24 mos. The bunting only comes in one neutral color currently but in the past, it has been available in a variety of colors and designs for both baby boys and baby girls. This bunting is breathable and is water resistant. It has a wide range of different features that are going to make it more comfortable when it is cold out. The Canada Goose brand also makes a line of jackets for kids. These are a great choice of different jackets. When you have young children, it can be incredibly hard for you to be able to make sure that your child is able to stay warm in cold conditions. One of the things that upset many parents is to learn that their kid’s coat is not functional and does nothing to actually keep them warm. Don’t worry about that because you are never going to have to worry about the kid’s being cold thanks to the jackets. The Snowy Owl parka is the jacket that you have been dreaming of for your young child. This jacket comes in four different colors. There are several sizes available as well. These include 2-3 years, 4-5 years, and 6-7 years. This parka allows your child to be able to play in the playground, go sledding, or even start exploring the slopes without ever having to worry about whether they are safe or warm. The parka is made with the same quality and attention to details as the adult versions, so it is water resistant, windproof, warm, and durable. Your child is going to have a jacket that is built to last and keep him or her warm. The PBI Bobcat hoody is one of the best choices for kids who want to stay warm all winter long. This jacket is more used for lightweight conditions and would not be suitable in the Arctic, but it is good enough for winter in most places in the United States. The jacket is going to keep your child warm while allowing him or her to move around freely and comfortably. The jacket comes in one gender neutral color and is available in sizes 2-3 years, 4-5 years, and 6-7 years. The jacket is multi-axis and allows for you to be able to move around comfortably. It is breathable and water resistant. This jacket is one of a kind and something that you are going to love knowing that your little one is being protected from the elements in. When it comes to finding the right jacket for your youth aged son or daughter there are many things that you should consider. There is a wide range of Canada Goose youth jackets that you can find. What makes it hard to find the right jacket for your son and daughter this age is that they want something that is comfortable, stylish and keeps them warm. However, even if something would keep them warm if it does not look good, your child that is this age is probably not going to wear it. So, Canada Goose took this all into account when creating their line of youth jackets. The Brittania Parka is a high-quality parka that is perfect for your youth aged daughter. This parka comes in three different colors and is available in sizes extra small to extra large youth. 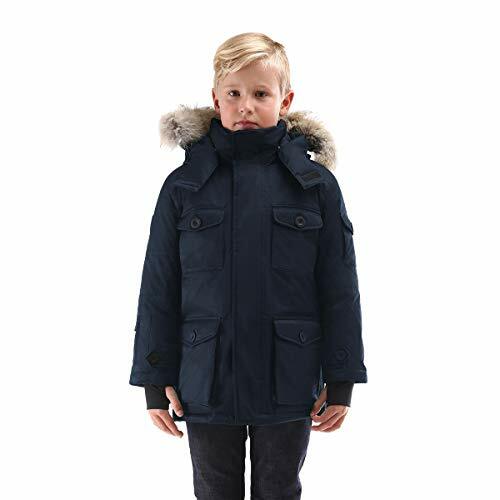 This is a jacket that is going to keep your child warm while offering a unique style that has become a part of the iconic Canada Goose brand. The jacket is water resistant, wind resistant, durable, and warm. It is truly a jacket that is going to keep your child warm and protected against all elements. The PBI Sherwood hoody is a great choice for your child. Like the version made for younger children, this jacket will keep your child warm while offering protection against the elements. It is a great coat for those who live in areas where you have a winter but not where there are arctic conditions. It comes in one gender neutral color and in sizes from extra small to extra large. 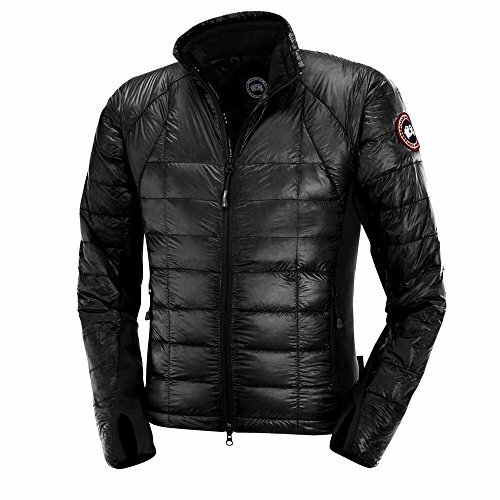 There is a wide range of additional Canada Goose products that you are going to want to check out. The additional products for men include knitwear and accessories to ensure that men can stay warm when braving the elements. The women’s additional products also include knitwear and accessories to ensure that they are able to stay warm in all weather conditions. Infants and babies, kids, and youth are able to get additional accessories as well. The most used material in Triple F.A.T. Goose jackets is nylon Taslan fabric. These are special fabrics that are made out of another material but made in the way that they move and feel soft like cotton. In this case, the material is made out of nylon but it acts more like you would expect cotton to instead of what you would traditionally expect out of nylon. The material is both water and wind resistant, which helps you to stay warm in all conditions. In addition to being made in this way, there is a Teflon Shield + Fabric protector which keeps the jackets looking new and helps to keep them from being stained. This part of the manufacturing process is very important because it allows you to ensure that your jacket is going to last a much longer time than what other jackets would last. 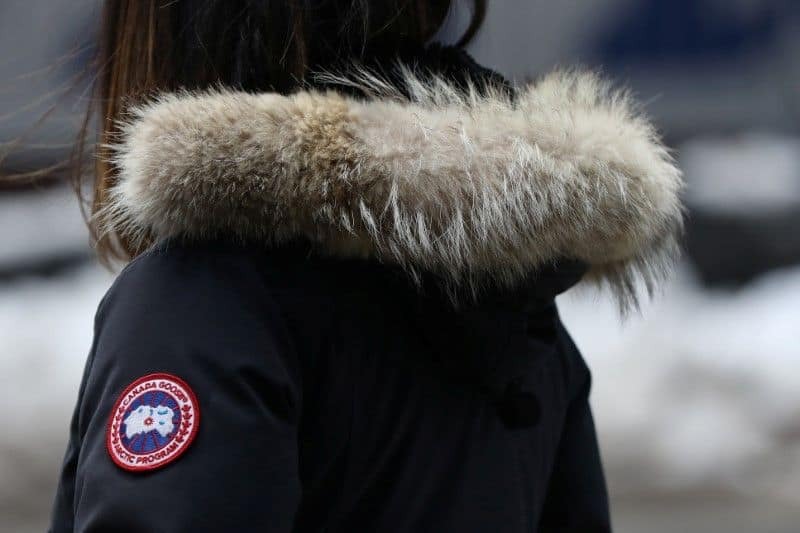 The Canada Goose brand has developed its own fabric for the manufacture of their jackets. Two of the fabrics that they have made are Feather-light US and Duraforce. There are many other fabrics that this brand has made to go along with these. This has helped them to be able to develop the best jackets on the market. In addition, they use nylon and polyester on the shells of these jackets. The jackets use these materials in order to ensure that the jackets are going to weatherproof. You are able to ensure that the materials are going to work to offer full protection. The insulation in the Triple F.A.T. Goose jackets come from goose feathers. The filling is 100% goose down. This helps to provide the jackets will a considerable level of warmth that you might not see with other jackets. Most of the jackets are filled with a 675 fill. The insulation material that is used in the Canada Goose jackets comes from goose feathers, like the Triple F.A.T. Goose brand. The manufacturing process actually uses thirteen steps to be able to get the materials. In addition, the jackets are made with a 750 fill which ensures that you are going to be able to stay warm in even the worst conditions. The fur that is seen on some of the Triple F.A.T. Goose jackets is sourced from coyotes. Canada Goose uses real fur on their jackets that are sourced from coyotes. Triple F.A.T. Goose only uses goose down that is certified IDFL and RSD. This means that the geese are not force fed or live-plucked. They only source from animals that are treated humanely. Canada Goose also chooses to only use goose down that is certified RSD and IDFL. This is important because they are doing their part to remain humane in the treatment of animals that they use for their purposes. The coyotes that are hunted for the fur are only hunted in southern Canada and the northern part of the United States where they are endangering humans and becoming a problem. Both the Triple F.A.T. Goose and Canada Goose brands are known for their superior winter wares. Their jackets and parkas are known for being able to keep you warm and for lasting a considerable amount of time. Both are a great choice in winter coats, but the Triple F.A.T. Goose brand seems to be a better value, offering the same features and a similar quality for a considerable amount less. That being said, Canada Goose is the only one that offers options for the whole family. The brand also features a line of knitwear for adults and an entire line of accessories for all ages. You will find that either brand is a great choice and if you are shopping for a family or want matching accessories than Canada Goose is going to be the choice for you.